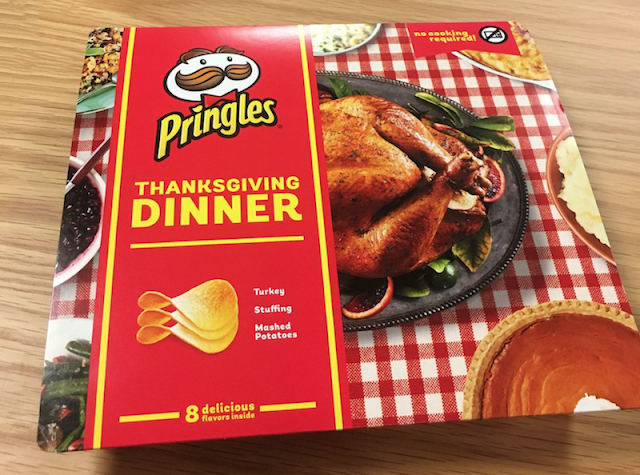 As I actually haven't been able to find this in any store in my area, I will just leave these two images for y'all to ponder. More details can be found here. 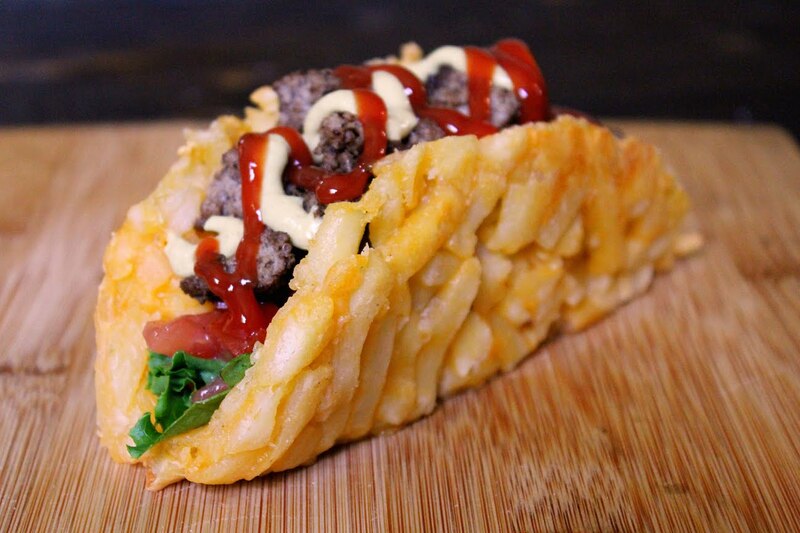 If anyone is able to taste test this potato crisp cornucopia, please let me know your thoughts. And Happy Thanksgiving! Today is National Fast Food Day, have a good one, and don't forget the fries! Today's random tater pic of the natural cut fries with Old Bay seasoning from Joe's Crab Shack comes courtesy of my bro-in-law Bruce, thanks! Now this sort of thing doesn't happen very often, but believe it or not, it does happen. Stuffed French fries, and no, I don't mean being stuffed with fries, I mean stuffed animal-ish things in the style of potato-ey products. One such occurrence included the tater tot superheroes at Sonic some years back. 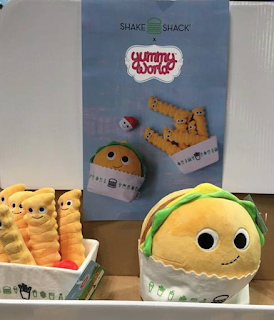 Recently, a couple weeks ago at the New York Comic Con, a new plushy arrived that was just as cool - Shake Shack Plushes from Yummy World and Kidrobot. 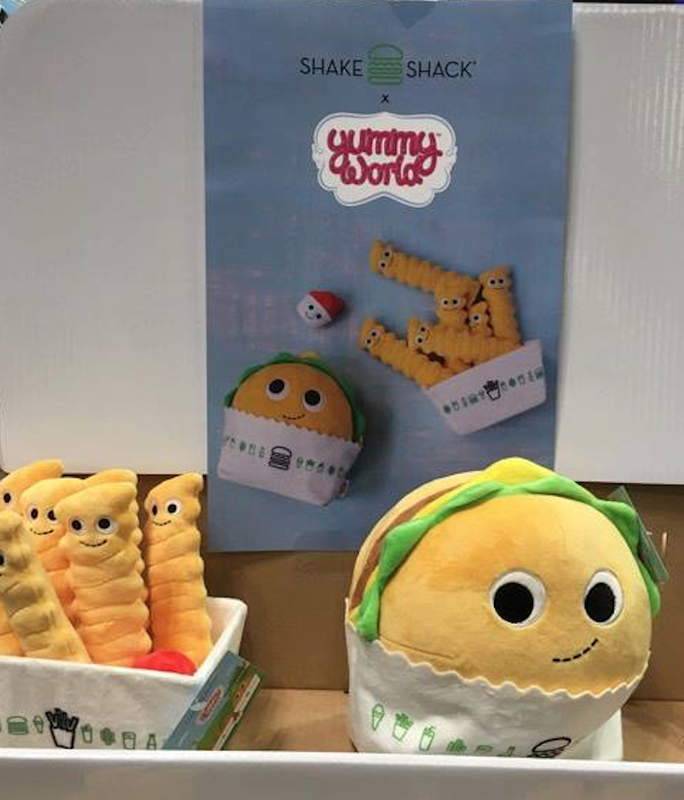 They have burgers, and fries, and they are adorbs. While I have yet to actually get to a Shake Shack, at least I can play with them. Seriously they are awesome. Special thanks to friend Pixie for the signal boost and kind words when I was looking for images of these goodies, and to her friend Karina Hamalainen for the second pic seen here, thank you! You rock! Don't forget to get over to the Moorestown Mall Food Court to try MoonDog Grill's Walking Dead Dog, an all-beef Sabrett hot dog topped with chili, cheese sauce, spicy red pepper relish, atomic BBQ sauce, jalapenos, onions, and sriracha… oooh, hot and scary. 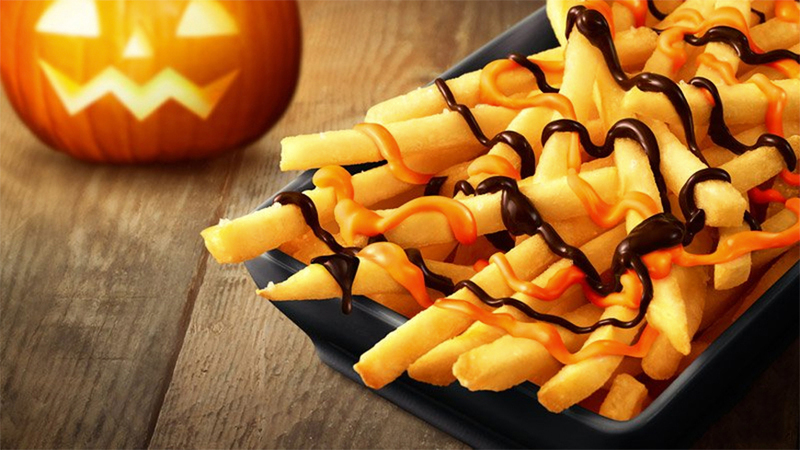 They also have new Italian sodas in ten assorted flavors, but the real reason to visit MoonDog at any time, not just Halloween, is the fries, and now there's a twist. 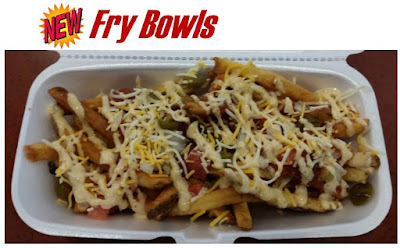 You can not only get MoonDog's fabulous fresh-cut and twice-fried French fries, but you can get them as a Fry Bowl. 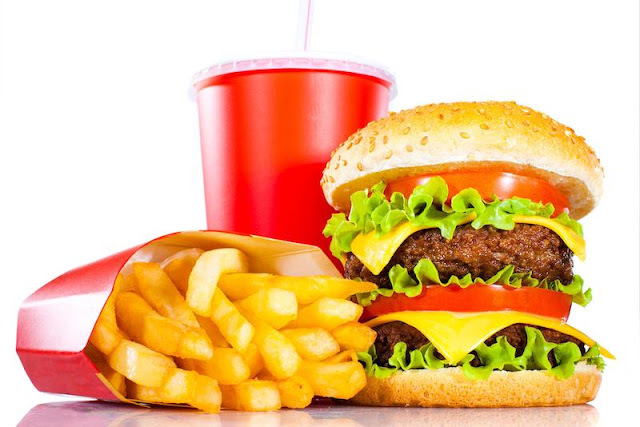 They start with eight ounces of fries and come in four varieties – Chili Cheese: all beef chili, cheese sauce, and onions, Barbecue: pulled pork, shredded cheese, and BBQ sauce, Mexican: salsa, jalapenos, tomatoes, onions, and shredded cheese, and Buffalo: buffalo wing sauce, jalapenos, blue cheese dressing, and celery salt. 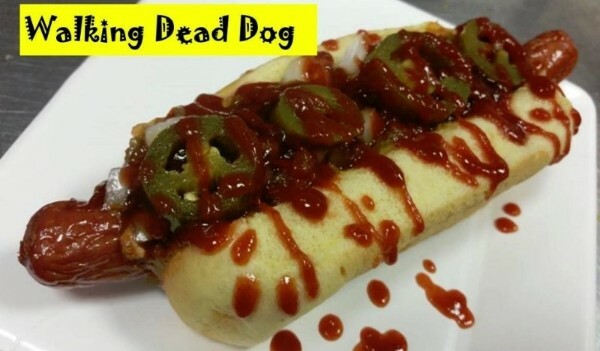 Stop in and check them out, some of the best fries and dogs in South Jersey! I love Florida, and I'm glad we moved down here from South Jersey. Florida has many awesome things going for it like Disney, sunshine, and grilling - but it's not all good. There are also alligators, sand hill cranes, Trump supporters, and a seriously sad variety of potato chips. I was very surprised by that last one. Tom's is a company we didn't have in NJ, and generally Wise chips are easier to find - except for that elusive potato chip grail, the Wise BBQ Ridgies - but other than that, it's pretty pitiful. It's so bad that sometimes on a late night snack run, you'll just skip the chips. Yes, it's that bad. These chips, the Wise Finger Lick'n Ribs BBQ Flavored Potato Chips (crazily not even shown on the Wise website), were found in a Dollar Tree. A dollar for a 4.5 ounce bag of BBQ meat chips? What could I lose? I could only gain a review for the blog, right? The bag promised no preservatives, gluten, MSG, or transfat, awesome. Upon opening the bag there was a faint BBQ aroma, but nothing as pleasant or strong as the Wise BBQ or Honey BBQ. 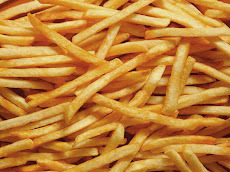 The chips are good and thick, but not as darkly seasoned as the two mentioned above, if anything they appeared sparsely seasoned, maybe a dozen flecks per chip. There is that meat flavor, but not overwhelming or unpleasant like some meat flavored chips. This is more barbecue than ribs, but it's good, and if I'm being honest, a bit addictive. And that's kinda the problem, in that the more you eat, the more cumulative the ribs taste is. Still, I would definitely get these again, good chips. 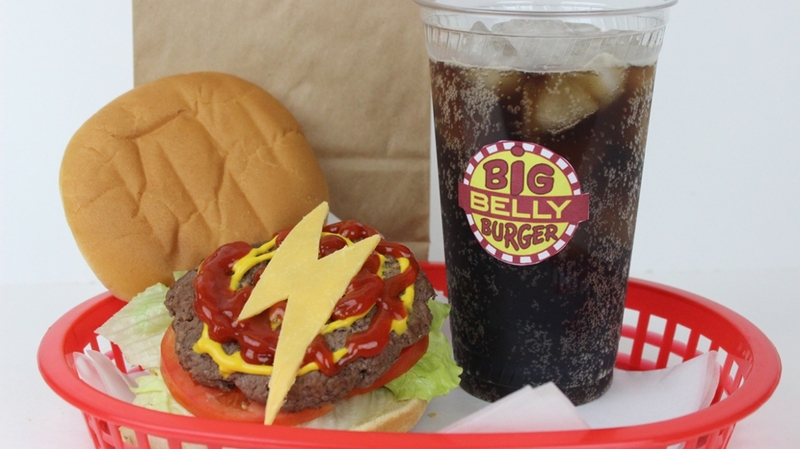 We've talked about this fictional burger chain in the DC Universe before (here and here), and now it's moved from the comics to your television screens in the last few years. In the comics, a favorite of heroes like Superman in Metropolis, and on the small screen, beloved of the characters from "The Flash," "Arrow," "Legends of Tomorrow," and "Supergirl." 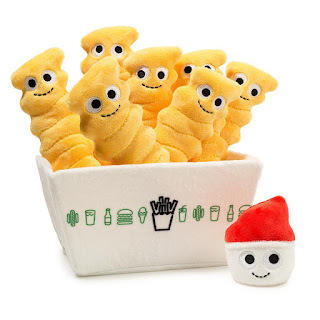 I've never been able to pinpoint exactly what kind of fries they've had until now - it's regular cuts and curly fries just in case you were wondering - when they have debuted their own commercial. Here it is, the Big Belly Burger commercial, enjoy! 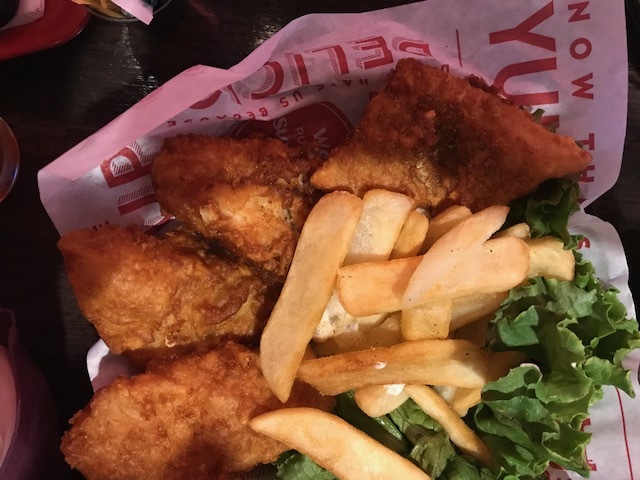 This edition of Somebody Else's Fries comes from friend Deb, taken as she enjoyed Red Robin's Bottomless Steak Fries.